Have you ever wondered if you or someone you know suffers from kratom allergies? There are many types of allergens in the world, and many of those allergens are plants and herbs. Herbal allergies are a common occurrence around the world, and it’s likely that everyone is allergic to flora of some kind. Every person has a unique physiology that changes as our bodies age and adjust to the abundant and varied environmental and physiological factors that affect us every day. Allergy symptoms also vary among individuals, and the symptoms themselves can change depending on how a person physically interacts (external or internal) with the allergen. Kratom allergy symptoms can sometimes mimic the same symptoms one experiences when taking a bit too much kratom, such as a headache, vertigo, nausea, vomiting, and tremors. Allergy symptoms can include other symptoms outside the norm like itching, irritated skin, respiratory troubles, and intestinal troubles. If you think you or a friend might be allergic to kratom, or you’ve never tried kratom and you are worried that you might be allergic, use only a very small amount to ensure that you aren’t experiencing overdose symptoms. The only way to truly know if you are allergic to something is to see a doctor and have an allergy test performed, but finding a doctor willing to do a kratom allergy test might be difficult due to the amount of misinformation regarding kratom currently spread about by the media, and sometimes even the medical industry. 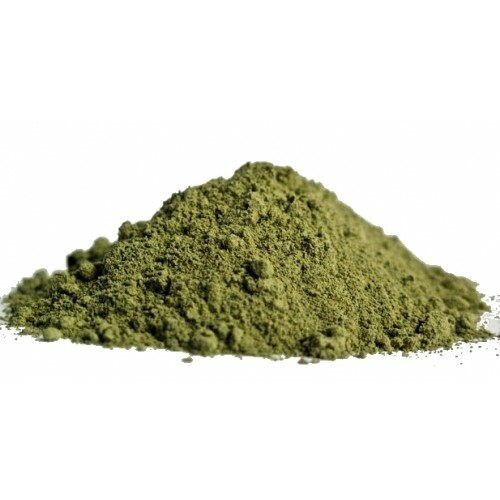 At the end of the day, the best advice is to stay clear of kratom if you experience any negative symptoms when using even a small amount of kratom. Some long time users have reported that they reacted negatively to only a single strain of kratom, which implies that they may have a kratom allergy to only one specific strain. Although science hasn’t done much (or any) research into this, reports currently indicate that strain type, coupled with the location the kratom is grown, may make a difference regarding kratom allergies. There is another possibility that may explain temporary symptoms that could be mistaken as kratom allergies. Kratom alkaloids break down over time, and older kratom has an increased chance of being infected with a contaminant such as bacteria. If you think you are suddenly experiencing kratom allergies when you previously interacted only positively with kratom, you may not be allergic but have encountered a “bad” batch or a batch that is too old. Take a break, switch batches, and tread the waters carefully with a small dose of kratom. Kratom allergies are rare, but they do exist just as allergies to every herb exist in the human population somewhere. If you’ve had experience with kratom allergies, or know someone with a kratom allergy, leave a comment below and give us some insight into kratom allergies! « Previous Article Is there a kratom drug test?